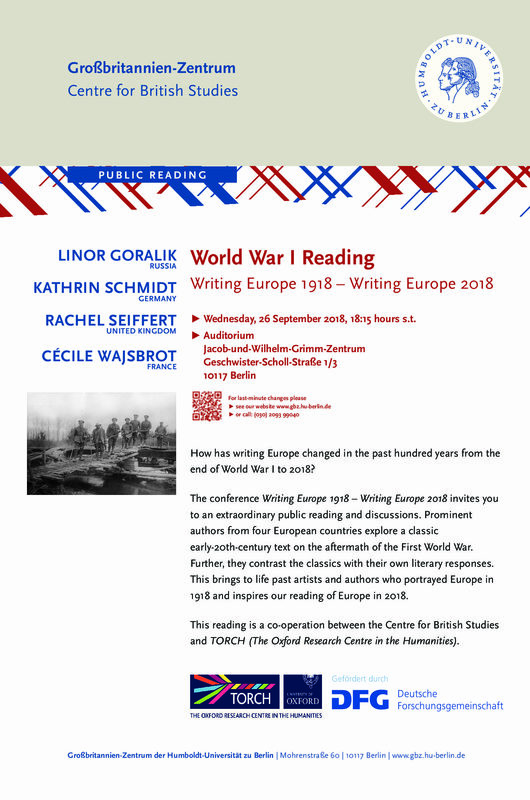 The Centre for British Studies and The Oxford Centre for the Humanities (TORCH) have co-organised an international conference on the aftermath of World War I and how writers and artists responded to the challenge of re-imagining Europe and re-building networks. The conference will begin with a public reading on 26 September 2018, 6.15pm, with authors from Russia, Germany, France, and England reading from classic early-20th-century texts as well as from their own work. For more details please see the poster. This entry was posted in conference, Meetings, Uncategorized on September 9, 2018 by admin. This one-day conference, to be held at Wolfson College, Oxford on 17 March 2018, will explore the interaction between life-writing, transnationalism and language-led research. Co-organised by Sandra Mayer (University of Zurich) and Philip Ross Bullock (Oxford), it is a collaboration between Writing 1900, the Oxford Centre for Life Writing (OCLW), The Oxford Research Centre in the Humanities (TORCH), and the AHRC-funded research project, Creative Multilingualism. This entry was posted in Archive, Blog, Meetings on October 16, 2017 by admin. The Writing1900 group was invited to participate in a workshop on the afterlife of Italian objects in literature. The workshop was organised by Emily Eells, Stefano Evangelista, Lene Østermark-Johansen and Charlotte Ribeyrol. These three seminars organised by Richard Hibbitt were part of the Annual Meeting of the American Comparative Literature Association. They reflected the group’s ongoing engagement with theories of international literary mobility and competition put forward by Pascale Casanova in The World Republic of Letters, and included papers on Calcutta, Dresden, Florence Rome and Trieste among others. The group returned to Siggen thanks to the generous support of the Alfred Toepfer Foundation to launch a new project on the intersection between geography, cartography and literary cultures. The meeting included panel discussions on cultural geography and intermediality based on pre-circulated readings as well as sessions dedicated to the mapping of transnational space in the digital humanities. A two-day meeting that put a transnational perspective on questions of affect, feeling and gender and sexual identity. It featured papers on Havelock Ellis, Proust, Rilke and Tchaikovsky among others. A one-day meeting funded by the Leverhulme Trust, in which participants followed up questions raised at the Berlin 2013 meeting to work towards the publication of a special themed issue of Forum for Modern Language Studies. The day featured original papers as well as discussions of pre-circulated work in progress and a seminar session on transnational literary history and the history of cosmopolitanism. This entry was posted in Archive, Meetings on July 14, 2017 by admin. 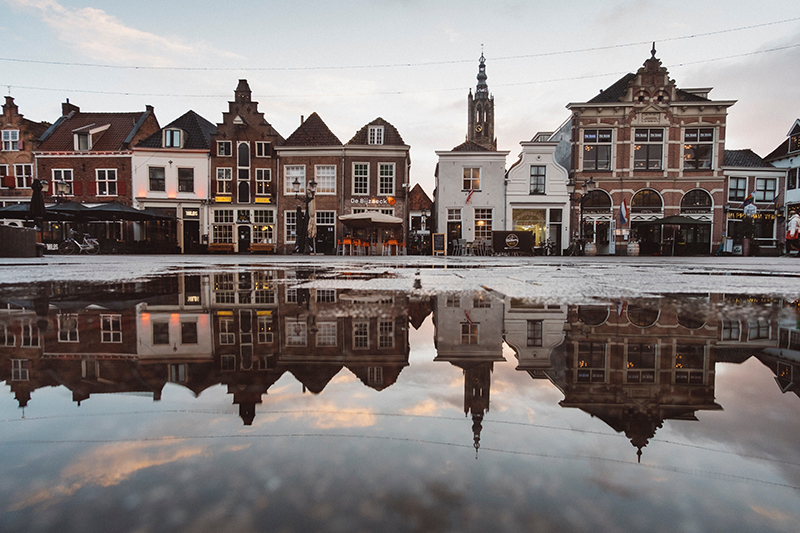 Eight papers discussing how literature creates communities of authors and readers that are rooted in specific places (such as Dieppe, Florence, Rome, Venice, Bruges, London, Copenhagen and Paris) and yet transcend linguistic and national borders. The meeting, funded by the Humboldt University’s Kosmos programme, was followed by a tour of literary sights associated with Weimar Berlin, as seen particularly through the works of Isherwood. Each participant presented on one object that exemplifies a narrative or mode of transition that took place around the year 1900. The discussion focused on how to create a productive dialogue between the study of material culture / object theory and literary studies. Case studies included barbed wire, jewellery, memorial sculpture, photographs, postcards, round mirrors, the telephone, the trilby hat and the vacuum cleaner. A four-day workshop held in the Gut Siggen Seminar Centre, thanks to the support of the Alfred Toepfer Foundation. It featured a mixture of seminars, case studies and brainstorming sessions. In advance of the meeting, participants were asked to read a number of articles and book chapters outlining specific methodological and theoretical questions in comparative and trans-national studies. The aim of this longer workshop was to consolidate the identity of the group and to create a space where participants would feel free to explore theories of cultural/literary exchange and cultural mediation away from the standard format of academic conferences.